There are days where I long to hear the laughter of a child and the crazy barking of my three amazing dogs. Days where I wish I would step on a Lego trip over a transformer all while yelling at Nylan to clean his room or eat his dinner. Days where I miss coming home to a smiling child and a somewhat loving husband. But then I remember that is in the past and I need to move on. I come home each day to a quite uptown apartment where my muppet like dog eagerly greets me. He doest bark, he just runs around in silent excitement that his mama is home. It’s funny my schedule use to revole around a six year old, a home, and my husband. Now it’s just me, me and Cullen. I no longer have to beg a kid to go to the store with me, worry about dinner or if everyone has clean clothes to wear. I guess this is life after motherhood. I spent five years of my life being a wife to Scott and a mother to my step son. I’ve had to learn how to be alone, to be single, and exsist. I’ve lost friends mostly married ones, gone are my days of play dates and mommy’s night out. Those are long gone. I am grateful for the friends who have stayed and the new ones i’ve made, they’ve taught me it’s ok to feel lonely at times. 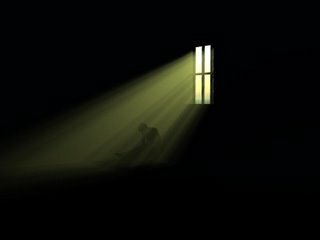 Loneliness creeps in like darkness taking over a room. There are moments where I wish I had someone around. Days where I wake up freezing and roll over realizing I only have my fuzzy dog to keep me warm. I miss the snuggles and late night giggles. The inside jokes that only your spouse understands. But then I remember why I left and feel determined to move forward to find my new mr man. Right now I kind of like being a little lonely, it reminds me to keep my heart open for some day love will fill the room instead of the darkness. Because in the end love conquers all!